Captured this surfer during an afternoon at Ft Lauderdale Beach. 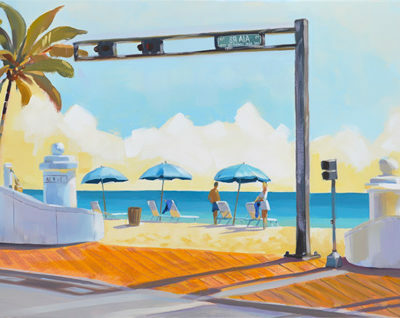 Original surfer painting in watercolor captures the scene at Ft Lauderdale Beach during an afternoon with good waves. Many surfers and paddleboarders were out surfing the waves. I took many photos and headed back to my studio. 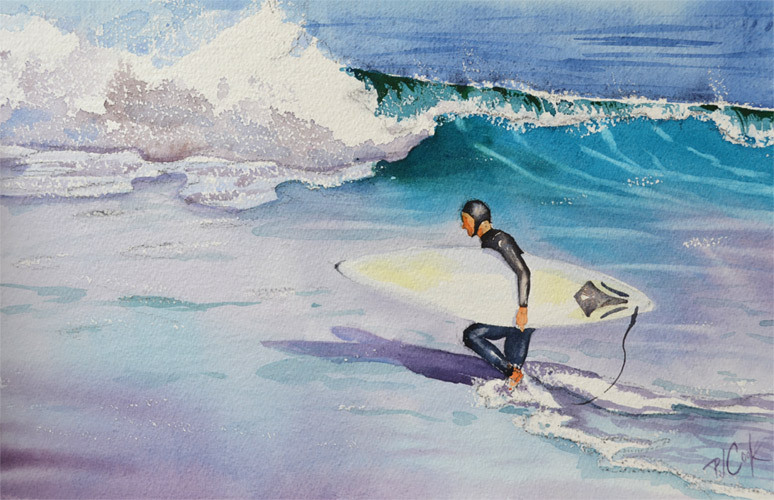 This watercolor has a man with a black wetsuit and white surfboard that contrasted well with the water. I had never seen one of those caps that he wore while surfing. It was a nice scene to capture from the beach. 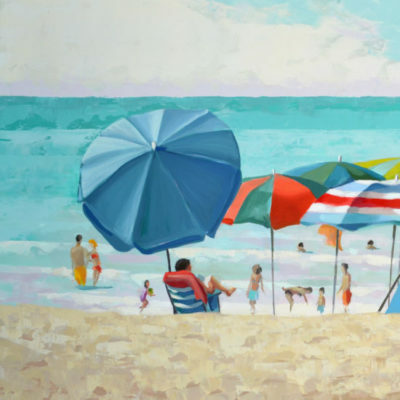 Artist Notes: This seascape painting is an original work of art by PJ Cook. 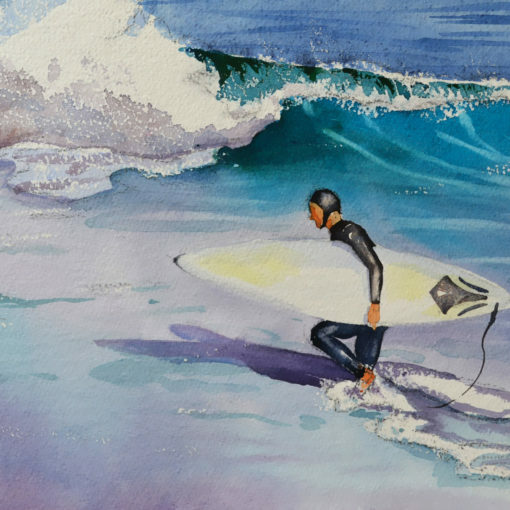 Original watercolor on panel in a 9″ x 14″ size. Professional materials used throughout. Signed by the artist front and back. 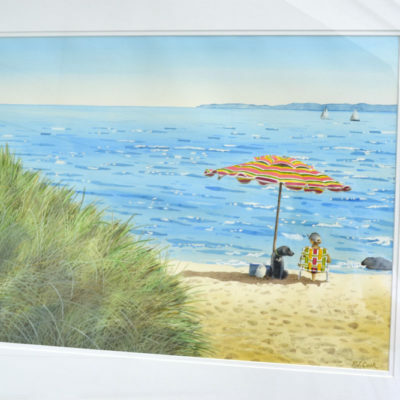 Can be purchased in a quality picture frame. Thank you for your interest in my original art and please contact me with any questions.